Feb 25, 2019 — GUANGZHOU, China, Feb. 25, 2019 /PRNewswire/ — The American Chamber of Commerce in South China (AmCham South China) today released its 2019 White Paper on the Business Environment in China and 2019 Special Report on the State of Business in South China. The 521-page White Paper, now in its 11th year, presents a highly-researched, exhaustively-cited account of the on-the-ground business environment in China. The 2019 Special Report, meanwhile, aggregates and analyzes the experiences of the companies who participated in the Chamber’s annual State of Business study. While 256 companies participated in the 2019 study in total, responses of 240 companies were finally adopted to ensure a high degree of data integrity. Participants in the study include companies from the US, Mainland China, Hong Kong and Macao SARs, Taiwan, Japan, EU, Korea, Southeast Asia, Australia, New Zealand, and Canada. The 2019 Special Report shows that many companies have taken advantage of the 90-day truce between the US and China, completing orders for rush delivery from the US and China. Those orders or deals account for 20 to 30 percent of the companies’ annual numbers. The Special Report also suggests that most business executives have had sufficient time to assess the present and possible future impact of the trade dispute on their businesses, and have increased their 2019 plans for reinvestments in the US and China accordingly. 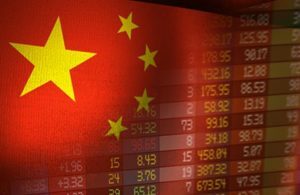 “Companies that postponed their reinvestments in 2018 have increased their budgets for reinvestments in China in 2019 in order to keep up with customer demand–a need intensified by the postponement of their reinvestments in 2018,” said Harley Seyedin, President of AmCham South China. Return on investment in China in 2018 is considered to be high with 80 percent of companies reporting very positive or positive return on their investment. AmCham membership report to have increased their 2019 China reinvestment budgets from profits by a whopping average of 37.9 percent over 2018. The primary business focus of 76 percent of American companies is providing goods or services to the Chinese market, while only 24 percent primarily focus on manufacturing for export. Nevertheless, 40 percent of all the respondents report that they shifted some reinvestment from China to other markets in 2018 while 44 percent of all the foreign-invested companies report such shift, of which Asian countries are the biggest recipients. Despite reinvestment shift, confidence in South China’s economic development remains high with 72 percent of the participants rating the business environment in South China as “good” to “very good”. Half of the companies report Mainland China as their number one investment destination with Guangzhou being voted the most preferred city for investment from a list of 35 cities across Mainland China for the second consecutive year. Meanwhile, 80 percent of the companies remain optimistic towards the future development of the Guangdong-Hong Kong-Macao Greater Bay Area. Continued government backing, infrastructure support, and regional economic development are generally considered the top three important factors to its success. Introduced by Guangdong province in 2017, the Policies and Measures of Guangdong Province on Further Expanding Open-up and Actively Attracting Foreign Direct Investment is popular among foreign-investment companies, and its policy effects are generally believed to be positive. According to the 2019 Special Report, although only a small number of the companies have appealed a case in China’s intellectual property rights (IPR) courts, most of those with such experience consider the establishment of the courts as “very helpful” or “somewhat helpful”. The White Paper on the Business Environment in China offers a summary of China’s impressive accomplishments since China’s opening-up and examines the key influences on the business environment in present-day China, such as national policy initiatives and global economic crisis. The Special Report on the State of Business in South China is a quantitative study of the business environment, conducted for consecutive years by AmCham South China. Each year, AmCham’s member and non-member companies participate in AmCham’s State of Business study, results of which will be garnered and edited into a separate publication. Both documents may be downloaded free of charge from the Chamber’s website at www.amcham-southchina.org/amcham/static/publications/publications.jsp. The American Chamber of Commerce in South China (AmCham South China) is a non-partisan, non-profit organization dedicated to facilitating bilateral trade between the United States and the People’s Republic of China. Certified in 1995 by the US Chamber of Commerce in Washington DC, AmCham South China represents more than 2,300 corporate and individual members, is governed by a fully-independent Board of Governors elected from its membership, and provides dynamic, on-the-ground support for American and International companies doing business in South China. In 2018, AmCham South China hosted more than 10,000 business executives and government leaders from around the world at its briefings, seminars, committee meetings and social gatherings. The American Chamber of Commerce in South China is a fully-independent organization accredited by the US Chamber of Commerce in Washington, D.C. All AmChams in China are independently governed and represent member companies in their respective regions.